Airy, crunchy, puffy morsels of porkliciousness. Even if pork chicharróns are’t on a trending foods list somewhere, I suggest placing them on yours! Those who have attempted to make house-made chicharróns know that the process is labor intensive, and takes at least 2 days from processing to plate. First you boil the pork rinds, followed by carefully scrapping off as much excess fat as possible, then the skins are dehydrated for 1-2 days before frying and serving. Farmland has eliminated all the work with their rendered pork skin pieces. 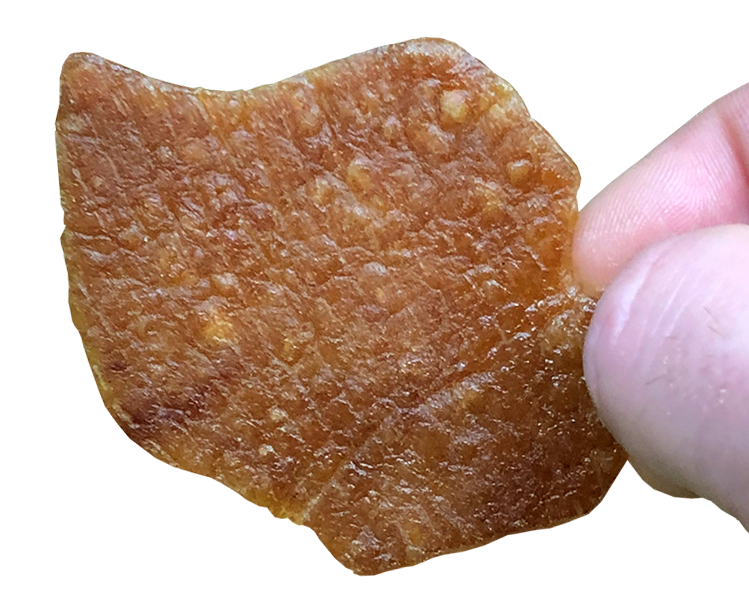 These dehydrated pieces of pork rind are ready to go, simply fry, season & serve. The yield is amazing as they puff to nearly 5x the original size in volume. Plus, there’s a good chance they’ll still be cracking and popping when they get to the table! Making for a very unique treat indeed.